DETROIT (AP) _ Five years ago, General Motors revealed an all-new compact car in the U.S. that was designed to enter a market that GM ignored for decades. Enter the 2016 Cruze, due in showrooms next spring. The new one appears to address the faults of the old: Noisy, underpowered engine, cramped back seat even for kids and bland looks. 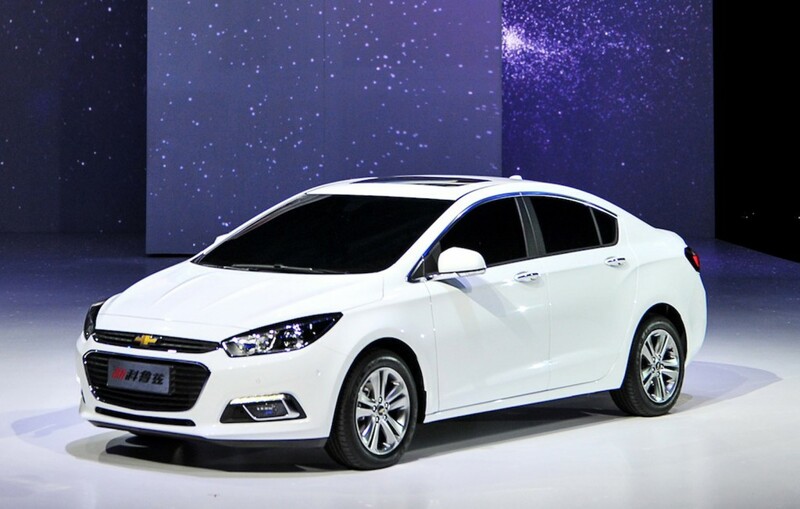 Chevrolet says the new Cruze is more aerodynamic looking, and longer, yet 250 pounds lighter. A standard new turbocharged motor is more powerful, quieter and more efficient. “We retained all the attributes that made the original Cruze a hit around the globe and built on them to make this car more sophisticated, more fun,” said Alan Batey, GM’s North American president. The Cruze comes out in the spring when gasoline prices are still projected to be low. That’s putting a hurt on compact-car sales. The segment is down 2 percent through May in the U.S. while total auto sales are up 4.5 percent. Cruze sales through May are down 12 percent. People are choosing small and large SUVs over cars. Still, GM knows that someday gas prices will go back up and the market will shift. More space in the back seat. Two inches more of rear knee room. More luxurious, softer features. Redesigned instrument panel. Chevrolet’s MyLink infotainment system is standard with 7-inch touch screen that’s compatible with Apple CarPlay and Google’s Android Auto. Extra room came from a combination of a larger car, thinner seats and other changes. “A big, long math problem but it adds up to you’ve got more room in the back,” said Jim Dimond, engineering manager. Sleek design with lower wind drag than current model. Looks a little like the acclaimed Chevy Impala. The distance between the wheels is an inch longer than the old model, and the car is 2.7 inches longer. It’s also an inch lower. Lighter high-strength steel and use of aluminum, plus a lighter aluminum-block engine, helped the car shed up to 250 pounds. Gone are two older four-cylinder engines, both with 138 horsepower. They’re replaced by an all-new 153-horsepower 1.4-liter turbo four. Six-speed manual is standard and a new six-speed automatic is available. Chevy expects a segment-best zero to 60 time of eight seconds. Diesel coming in 2017. GM says the lower weight, stop-start technology that halts the engine at red lights, and a more efficient engine will get the regular Cruze above 40 mpg on the highway. Old base model got only 35, but an Eco version with automatic got 39. Not announced. Old one starts at $16,995, but the price almost certainly will rise. Yet GM has trimmed costs by building the same Cruze through most of the world. “We’ve been able to drive efficiencies in the organization, leveraging our scale. We’re going to see an improvement in the profitability of this vehicle,” CEO Mary Barra said. New looks, more room, more power, better gas mileage. Debuts in a tough market with buyers swooning over SUVs and shunning small cars.